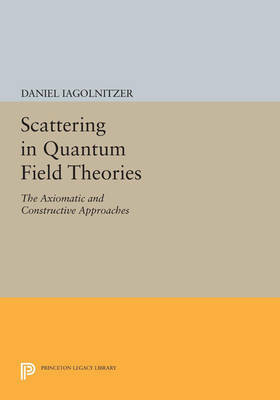 Axiomatic and constructive approaches to quantum field theory first aim to establish it on precise, non-perturbative bases: general axioms and rigorous definition of specific theories respectively. From the viewpoint of particle physics, the goal is then to develop a relativistic scattering theory, including particle analysis and the derivation of general properties of collision amplitudes. Taking into account successive improvements, this book provides a modern, self-contained, and coherent presentation of important developments from the last twenty years, most of which have not been treated or discussed in detail in earlier books. These developments include in particular the axiomatic derivation, in massive theories, of general causal and momentum-space analyticity properties of multiparticle collision amplitudes; the constructive definition, initially in the (unphysical) euclidean space, of various models including non-super-renormalizable theories treated in the 1980s via phase-space expansions; and the subsequent constructive approach to scattering theory, which provides information on the mass spectrum, asymptotic completeness, and multiparticle structure in increasingly higher energy regions. Originally published in 1993. The Princeton Legacy Library uses the latest print-on-demand technology to again make available previously out-of-print books from the distinguished backlist of Princeton University Press. These editions preserve the original texts of these important books while presenting them in durable paperback and hardcover editions. The goal of the Princeton Legacy Library is to vastly increase access to the rich scholarly heritage found in the thousands of books published by Princeton University Press since its founding in 1905.